According to research from the Cornell University’s School of Industrial and Labor Relations (ILR), human resource professionals believe that disability-focused employee networks are the key for retaining and developing workers with disabilities. 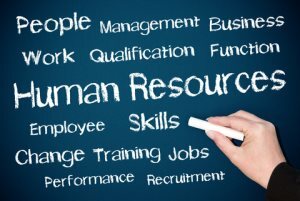 More than half of HR professional surveyed for the report felt that such groups are very effective while an additional 20 percent found them somewhat effective. The research results also revealed that almost half ranked return-to-work disability management programs helpful while a further 36 percent found such programs somewhat effective at getting employees disabled by illness, injury, or disabling condition back to productive work in a timely manner. Encouragement of programs, such as flextime and telecommuting, were also found to be popular with 47 percent of respondents ranking such arrangements as very effective and an additional 37 percent ranking them as somewhat effective. “It is critical that management be provided the insight and tools to in turn create real career opportunities for workers with disabilities,” said Susanne M. Bruyere, ILR School associate dean, professor of disability studies and director of the Employment and Disability Institute. Almost 20 percent of the polled HR pros said that lack of knowledge of proper accommodations is a big obstacle when it comes to retaining workers with disabilities. Less than one-third of respondents said that their companies track data, such as type and cost, for various accommodation methods. “Don’t forget basics and don’t make assumptions — be sure supervisors know where to find needed information about specific accommodations when an employee with a disability inquires,” Bruyere said.